Filled to the brim with fun stats and phrases from your favourite L.O.L Surprise characters! How rare is Surfer Babe compared to Roller Sk8er? 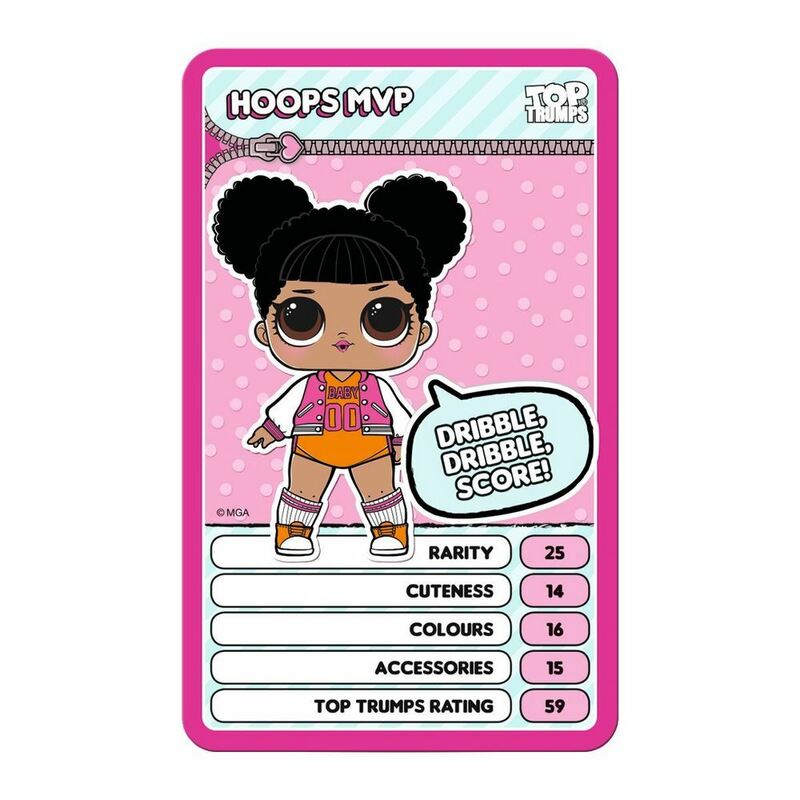 Who has the highest Top Trumps rating? You’ll even find 2 surprise cards form The Glitterati Club! Who will you get? 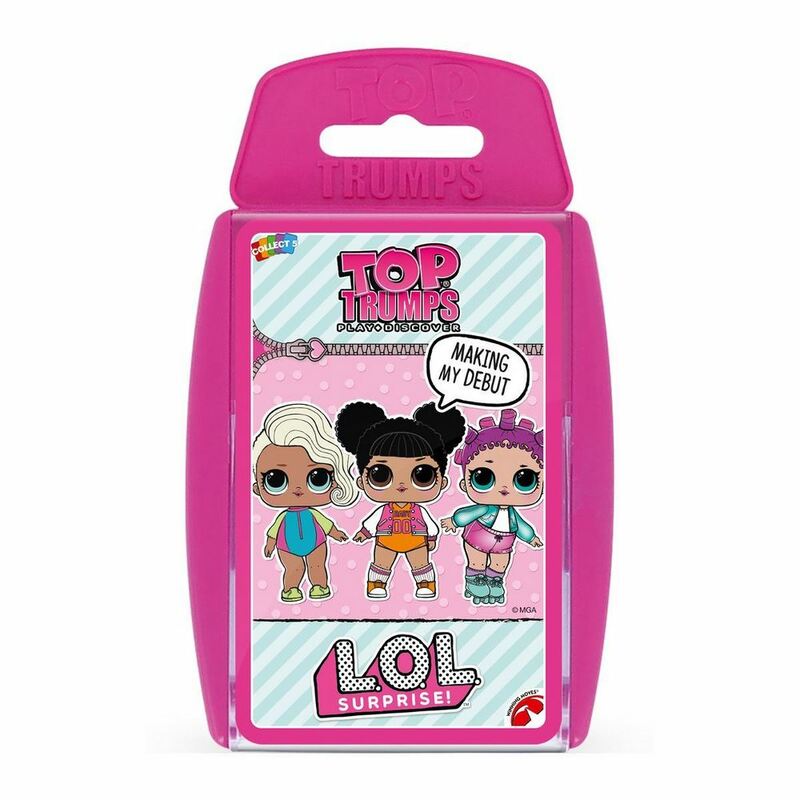 Discover your favourite L.O.L Surprise characters in this educational game which comes in this easy-to-carry plastic case which means there are no limits on game play to playing Top Trumps anytime, anywhere with as many people as you like!